Garrett Glaser was born today, February 25, in 1953. He is a retired news reporter who was one of the first US television reporters to "come out" publicly as gay. His coming out occurred during the course of a speech he made before a large group of TV and radio executives at the 1992 convention of the Radio/TV News Directors Association being held in San Antonio, Texas. Although Glaser co-founded the Electronic Media Task Force of the National Lesbian/Gay Journalists Association (NLGJA) in 1990 and was later out, as well, to fellow journalists, he was not out to the public at large. That changed in 1994, when Glaser disclosed his sexual orientation during a live report on the "Channel 4 News" at KNBC-TV Los Angeles as he was reporting on the death of Elizabeth Glaser (no relation), an AIDS activist who founded the Pediatric AIDS Foundation. 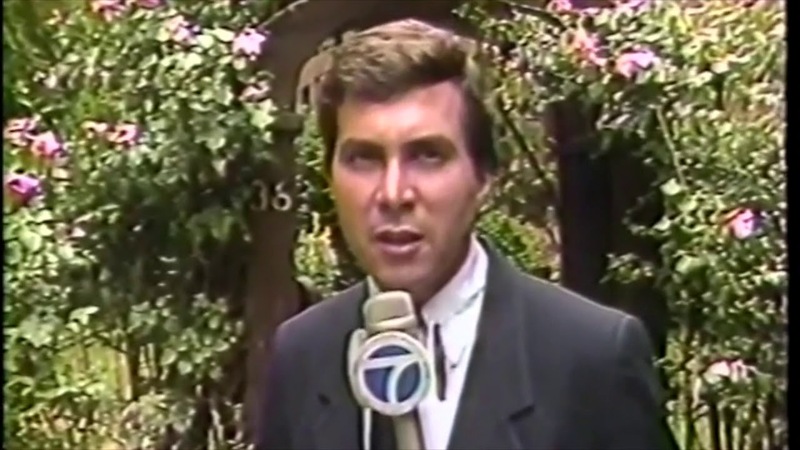 Several months earlier, the Los Angeles Times had published a story on the front page of its "Calendar" section about Glaser's status as one of the nation's few openly gay TV reporters in the nation. Earlier, in an unrelated case, Glaser had become embroiled in a public spat with Los Angeles Times media columnist Howard Rosenberg over Glaser's coverage of the "disappearance" of music superstar Michael Jackson for KNBC. Glaser also worked as a TV reporter at CNBC, Entertainment Tonight, and WABC-TV New York. He also appeared as an actor on several TV series, including Married with Children and Jake and the Fatman. In 2005, Glaser left journalism and became a corporate media trainer and CSR (Corporate Social Responsibility) consultant for two US PR and lobbying firms. Among the corporate clients he counseled were Nestle, McDonald's, H&M, Samsung, Nikon, and Continental AG. In 2007, he formed Glaser Media, a media training consultancy hired by Fortune 500 companies to train executives to communicate more effectively with news reporters.